1. 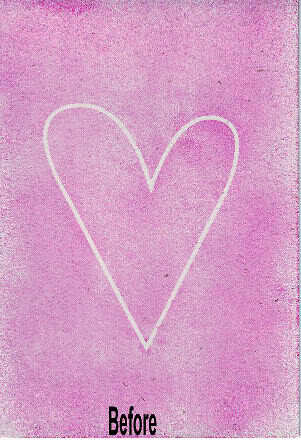 Put the heart mask onto your greeting card, then spray it with glimmer mist colour of your choice, then dab it with paper towel so it covers the whole card. Make sure you do this on newspaper so it won't get messy. 2. Peel the heart mask off and leave it to dry for about 30 minutes. 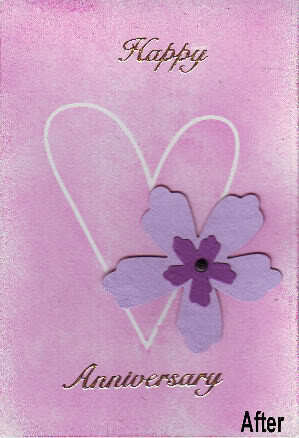 Once dried add a flower using a foam dot. Then add 'Happy' above the heart and 'Anniversary' under the heart.